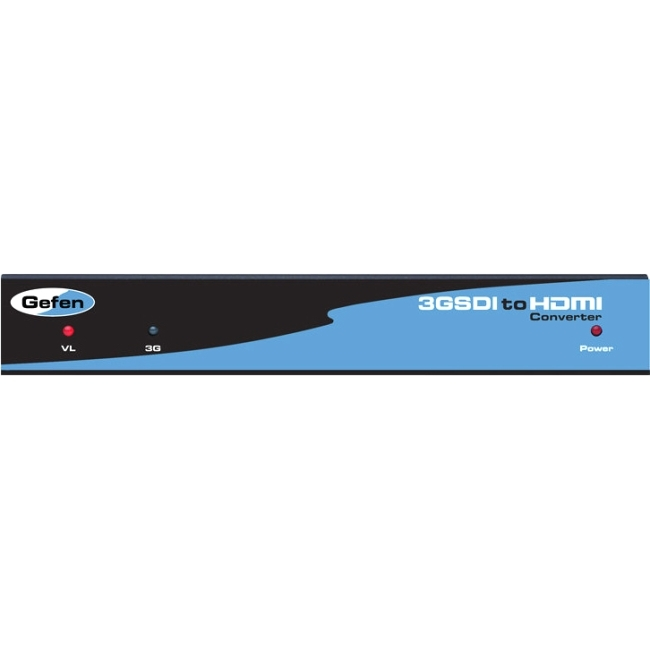 The Gefen 3GSDI to HDMI 1.3 Converter will take any SDI, HD-SDI, or 3G-SDI video signal and convert it to HDMI 1.3. The SDI input resolution will simply be converted to an HDMI signal. DIP switches on the unit will allow the user to select features such as Deep Color conversion and colorspace. A useful 720p (60Hz) test pattern is also available, without connecting an SDI source, for checking the HDMI video output. An SDI loop out and 2 channel analog audio outputs are also provided for monitoring the input SDI source.